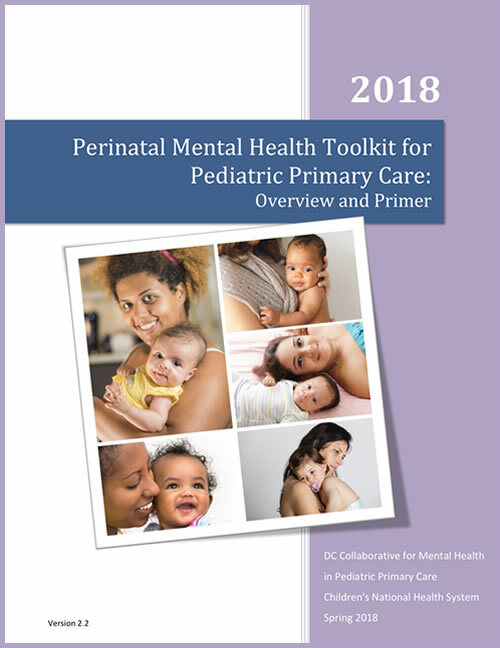 The DC Collaborative for Mental Health in Pediatric Primary Care has created a Perinatal Mental Health Toolkit specifically for pediatric providers in the District of Columbia and surrounding area. This toolkit is intended to aid Pediatric Primary Care Providers in screening for perinatal mood and anxiety disorders, such as postpartum depression, during well child visits in the first year postpartum. The toolkit provides general information on perinatal mood and anxiety disorders, and steps for implementing routine screening into pediatric primary care using the Edinburgh Postnatal Depression Scale. The last section includes a comprehensive listing of community based resources that specifically serve families during the postpartum period.